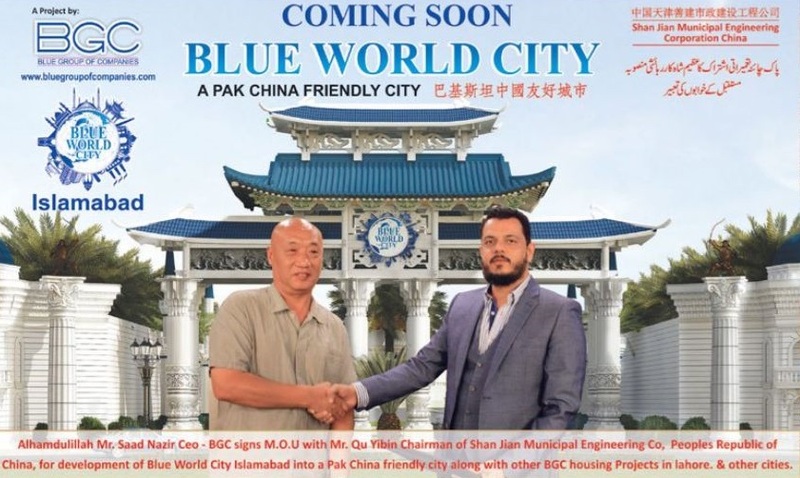 Blue World City is located at about 15 minutes drive from New Islamabad Airport, and it will be connected to Rawalpindi and Motorway through Thalian Interchange. As you can see in the location map attached above, location of BWC is marked along the intersection of Chakri Road and Proposed Rawalpindi Ring Road. Please note that BGC is the company involved in development work of PIA officers cooperative housing scheme, that is located close by, and marked on the map given above. 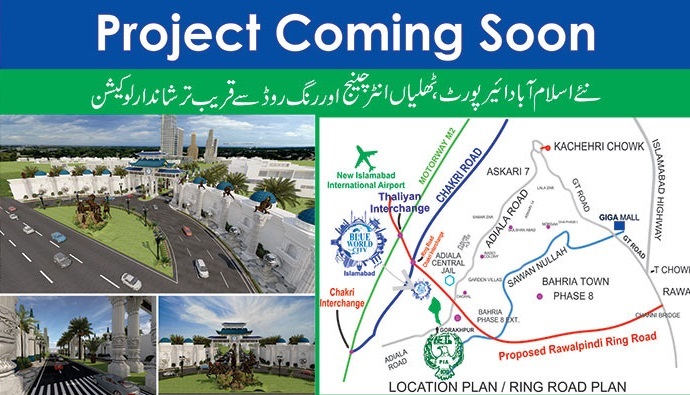 Blue World City will cater to the future residential and commercial needs of Islamabad and Rawalpindi. 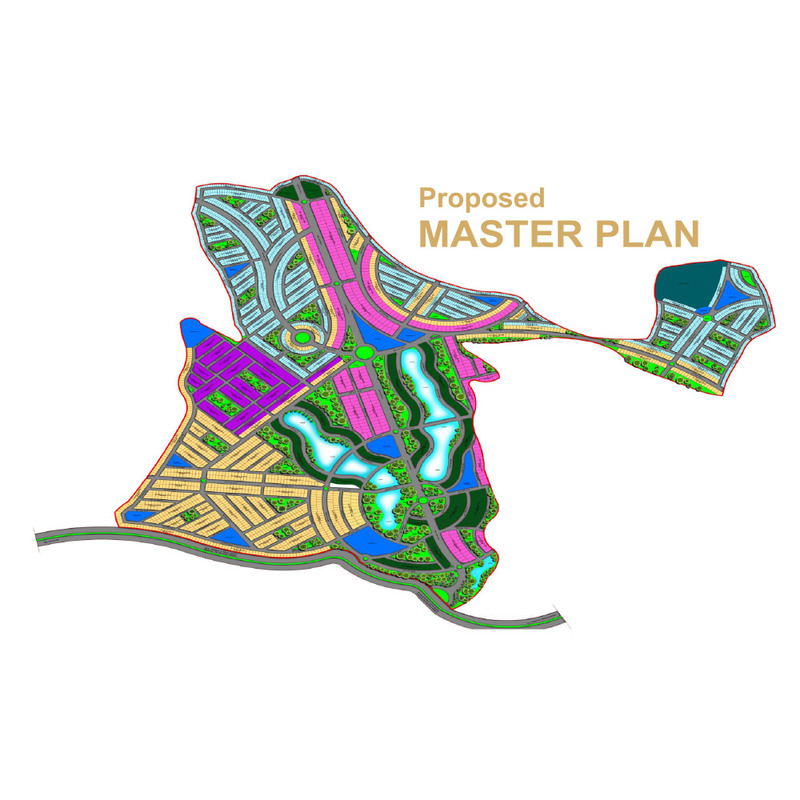 It offers all the basic amenities which are pre-requisites of modern housing development. Blue World City is offering residential and commercial plots of different sizes as well as farm houses for government servants as well as general public. There is no information available as to how much quota is reserved for general public and how much is reserved for government servants and their families, however we will have concrete information on this after the official launching of this project. 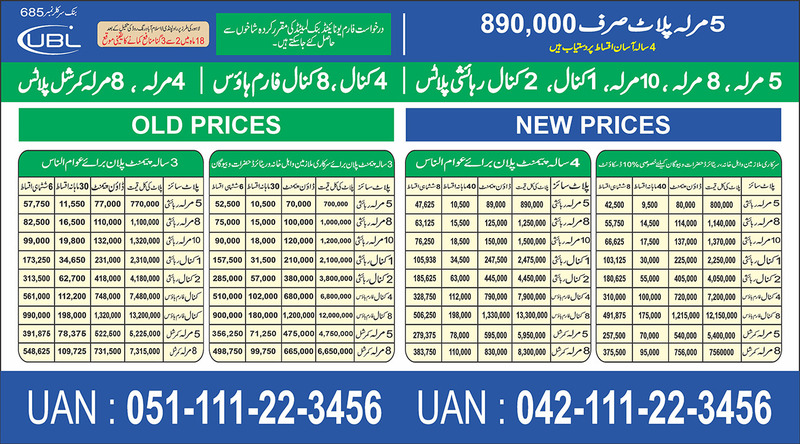 It offers 5 marla, 8 marla, 10 marla, 1 kanal and 2 kanal residential plots, 4 kanal and 8 kanal farm houses and 5 marla and 8 marla commercial plots on 3 years installment plan. Bookings start with just 10% down payment, while remaining amount is payable in 30 monthly and 6 half yearly installments. Physical development work on the project site has already commenced. Currently, a number of vehicles have been employees for land clearing process and earth work. Should you require any further information on Blue World City Islamabad, feel free to contact us via email at marketing@manahilestate.com.